These oils are used exclusively in jet engines because of three extraordinary performance characteristics: an ability to reduce friction and wear on engine components, an ability to function dependably at severe temperature extremes and an ability to withstand rigorous and lengthy engine operation without chemical breakdown. Recognizing that these same benefits would prove invaluable in combustion engines, Al Amatuzio formulated the first synthetic motor oil in the world to meet API service requirements for automobile engines. The new lubricant performed like no other before it. When the first can of AMSOIL 10W-40 appeared on the market in 1972, it signaled the birth of an entire industry. AMSOIL synthetic lubricants have expanded the boundaries of lubrication science and redefined the performance possibilities of modern machinery and engines. AMSOIL INC. was founded on Al Amatuzio’s desire for technical innovation, his commitment to high quality and his belief that consumers would respond to a superior product. The company has remained true to these ideals; its history is a checklist of revolutionary products that have withstood the tests of time. 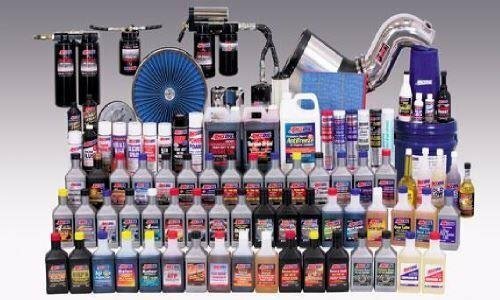 As the pioneer corporation in the field of synthetic lubrication, AMSOIL sees its Commitment to Excellence as a historical responsibility, and A.J. Amatuzio’s energy and vision continue to drive the company forward. ...inspired by aerospace technology.